Struggling to save money or just want a fun new way to build a rainy-day account? There’s an app for that—actually several. They work in a variety of ways—rounding up purchases to the nearest dollar, stashing a dollar (or other designated amount) every time a debit-card purchase is made, and even investing your growing pot of change. The best part is that saving with these apps takes little work or worry on your part. work or worry on your part. Here are three consumer-tested apps that just might help you finally fill the piggy bank. If you are looking to save up a bit more than change, Digit may be for you. 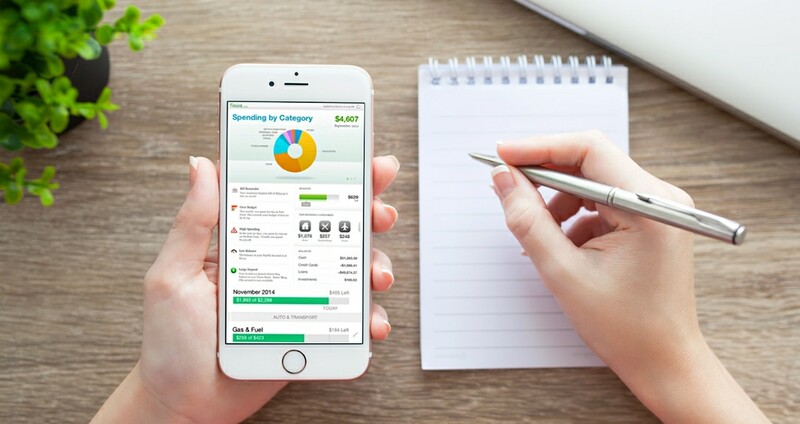 This clever app works by following your spending patterns and moving a few dollars from your checking account to your Digit account when you can afford it. Most users will see a transfer two or three times a week that’s anywhere from 5 cents up to $150 (very rare), with an average user transfer of $18. The money goes into your Digit account and can be easily withdrawn anytime. Digit is free—the company gets its money through the interest from users’ savings—making this a good tool for people wanting to save smaller amounts of money like $1,000. You can then always transfer savings to an interest-earning account. It’s called micro investing and it makes the often daunting task of financial investment fearless and fun. Acorn will round up every debit-card purchase that you make and invest the change (taken from your bank account) into one of a variety of diversified stock and bond portfolios that range from conservative to aggressive. You get to choose if you want your money to go into conservative or aggressive portfolios. If it seems like investing change is a bit silly, it can add up over time; one user reported watching his $15 go to $19 over a few days. Acorns will cost you $1 per month, and if your account grows past $5,000, the fee switches to 0.25% per year. This popular app is far more than a money saver; it’s essentially an automated financial advisor with benefits. It’s ideal for the user who wants to be more in control of where his or her money goes. Mint begins by pulling all of your financial information into one place and lets you see what you have and owe, and tracks activity. Mint won’t pull change into a special savings account, but its user-friendly interface is designed to be frequently consulted so that you are always aware of how much money you have and how much you can spend to hit a desired budget. The app will let you establish goals, like paying off a medical bill, and play around with how a big purchase (such as a new boat) would affect your finances. Mint is free and offers lots of financial advice, from getting the best credit card to opening a savings account. Many banks these days also offer digital savings tools. Just ask your bank about theirs.